Clinical competencies. Savvy providers recognize that robust clinical competencies will make or break a community’s ability to provide care for higher acuity residents, ensure optimal performance outcomes & ultimately compete in your marketplace. What changes need to be implemented today to get your team up to speed? Solid cross-continuum partnerships. Forming upstream & downstream network relationships are required for sustainability. Will your community struggle to survive and thrive without these partnerships in place? Progressive clinical strategies that drive market-share and optimal reimbursement. 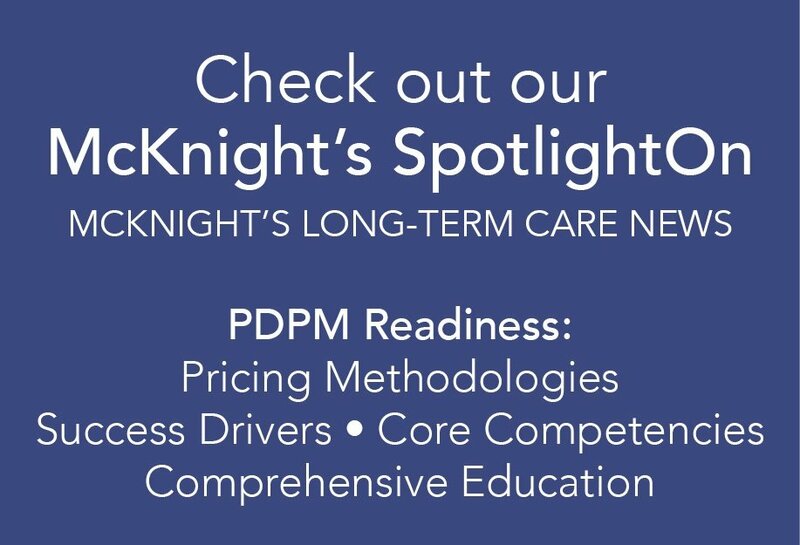 PDPM is looming, and forward-thinking providers are TODAY planning to appropriately prepare & assure optimal revenue capture. This approach goes beyond simply focusing on cost management. Will you be among those astute leaders who seek opportunity to capitalize on industry changes and come out on top? Risk strategies & compliance programming must be proactive and progressive. How will you stay one step ahead of the game as the rules change? PREPARE: Plan for a successful 2019 (in light of PDPM/payment reform). SUCCEED: Achieve meaningful outcomes that support market-share growth. By the way: Do you know our PDPM Expert Panel? Click here to meet the industry’s thought-leaders and operational experts from HealthPRO® Heritage.